You wanna have some fun? Everybody does. All work and no play makes Jack a dull boy. Whatever you do for a living, you gotta cut lose. Having fun is just as important as eating and reproducing. Recreation is a natural part of life. For every hour of labor, you gotta spend an hour of leisure. But sometimes sitting and watching TV is pretty boring. So boring it doesn’t really count. We are, after all, highly social creatures. And unless you get out there and get some, it’s just as unhealthy a diet of ding dongs and whiskey. Think of that last time you had a fun time. A really fun time. A time when everything flowed. You were relaxed and talkative. Your friends were relaxed and talkative. There was a kind of magic energy that somehow made everybody’s comfort zone temporarily vanish. Sometimes you’ll meet somebody for a cup of coffee. Maybe somebody you met online, maybe a friend set you up. You don’t expect much, so you go in relaxed, open. Maybe they do to. But you hit it off, and due to some weird overlapping set of circumstances, everything just flows. What you thought might be a twenty minute awkward conversation suddenly slipped into a long night of fun. Maybe you ended up between the sheets, talking till the sun came up. Maybe it wasn’t quite that good, maybe it was better. Maybe you’ve seen those gifted guys or gals that just flow. They are always in a good mood. When you are around them, anything seems possible. They are both insanely popular but always approachable. Not like rock stars or movies stars who seem to have a bubble of standoffish protection. Party heroes are magnets. Not just for the cool people, but for everybody. Even wallflowers and goofs like us. You don’t feel nervous approach these types. When you talk, they look you in the eye with as much attention as they’d give the Pope. These rare people have a unique collection of both genetic gifts and a wonderful personal history. Maybe they lucked out with all the adults in their childhood. Maybe they were always encouraged to be outgoing and friendly with others. Maybe they have a natural interest in all people. Not just the pretty people or the popular kids. Combine this with their natural charm and life is a party everywhere they go. If you were to scan through your memory of all these types, (the ones in real life, not the fake ones on TV and movies) you’ll find something interesting. Sure, we all know how easy it is for the gorgeous ladies and the Chads. They are nice to look at. But you equally know these lucky recipients of the genetic lottery generally don’t have strong conversational skills. Party heroes do. 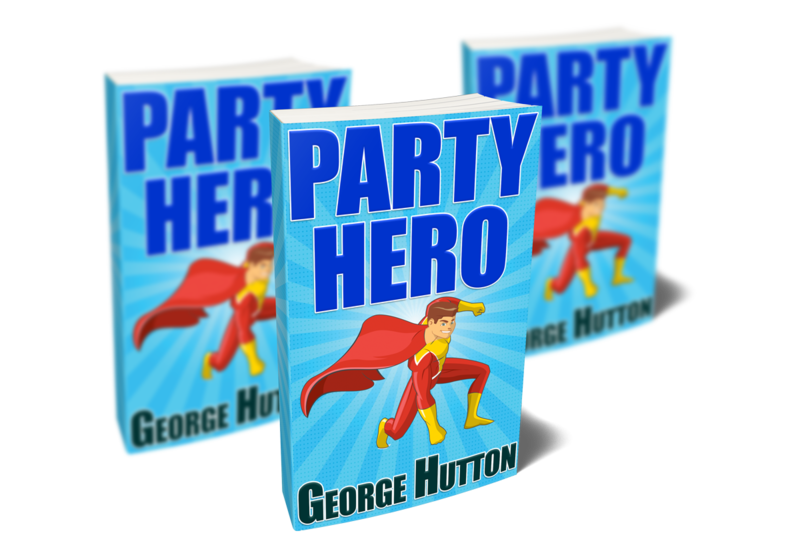 Party heroes are so confident in their social skills, the don’t need looks or bling or thousand dollar shoes. Voltaire famously said, “Give me ten minutes to talk away my ugly face, and I will bed the Queen of France.” This dude wasn’t some guy on a forum bragging about his imaginary skills. This dude was one the super geniuses of recent history. He knew the power of words. What Makes A Party Hero? Being able to spit mad game is not really part of the party hero’s repertoire. A party hero doesn’t really try to do anything. A party hero is simply insanely comfortable in their own skin. Genuinely curious other people. Not just their looks, the stuff in their brain. The good stuff. It turns out that the party hero’s most formidable weapon is not needing any tricks or gimmicks. A party hero can turn a story about doing laundry and losing a sock into an epic saga. A party hero can find the shiest wallflower and ask easy-to-answer yet laser targeted questions to not only make them feel comfortable enough to open up, but to find the things they like best about themselves. This guide will take you step by step through all the inner game and outer game qualities of a true party super hero, not a game spitting faker. How to slowly build up incredibly strong inner game, hilariously entertaining outer game, and everything in between. You’ll learn some very simple yet very powerful skills to transform your inner game to whatever you want. Create a whole series of switches. Friendly, outgoing confidence. Insane silliness. Intense focus and charm. Build them up, and switch them on whenever you want. You’ll learn that all you Really need to do is show up, flip on one of your inner game switches and just let events unfold naturally, and you’ll soon be the center of attention at any party or social event. You’ll learn that while you don’t need outer game, using the powerful techniques in this guide will make you unlike any other mortal. The simple gesture techniques. The playful way you can use your tonality. Eye contact insanity. This is the best part. Once you combine the inner and outer game you’ll get from this guide, you can take anything you heard, in any context, and run it through the party hero filter and turn it into a legendary conversation. Show up, drop in a few techniques and you’ll be on everybody’s preferred guest list. Forever. Make everybody feel special, be more entertaining than their favorite YouTube comedian, and be begged to be included whenever there is a social event. See somebody interesting in line at the supermarket? Drop in a couple techniques, sprinkle in a few simple questions, and you’ll have an instant party. Works on anybody, any gender, any age. Of course, just being fun at a party is the beginning. You’ll learn some very powerful conversational skills to get them talking about anything. To get them imagining their ideal fantasy future and telling you exactly what they see happening. This means you can get anybody fantasizing about any ideal future within minutes. Not only is this something that few people ever think about with any clarity, nobody (except you, of course ) will know how to carefully help them build this fantasy. Never again will you experience that “where do I know you from” feeling. In this guide, you’ll learn how to remember everything about them. So when you see them anywhere, even months later, it will all come flooding back. You’ll remember their name, where you met, what you talked about and the things they were hoping to do at the time. This gives you a perfect way to start up another conversation and be remembered. Needless to say, you can use these skills to be a networking super genius. This guide is not filled with magic tricks or law of attraction hooey or mumbo jumbo. 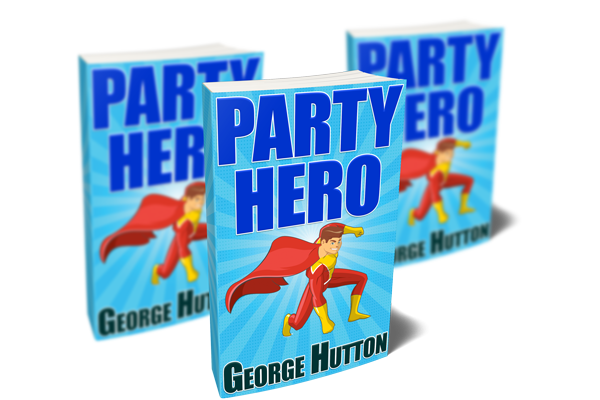 First you’ll through the personality characteristics of a party super hero. Then we’ll go through each of the necessary exercises to build the skills you want. These are just like physical exercises. They take time. Nobody gets in shape by doing one push-up, or walking around the block once. To get in tip top physical condition, you’ve got to put in the effort. If you are looking for quick hit shortcuts, this ain’t it. But the flip side is these skills will continue to improve, so long as you do the exercises. You can build as many inner state switches as you want. If you can imagine inner state you want (for example, you’d like to emulate a TV character or role model) you can build the switch. You’ll learn some very simple yet powerful techniques to take any simple story and turn it into an edge your seat, nail-biting side-splitter. Think of these conversational skills like you would any musical or martial art. The more you practice, the better you get. The best part is that nobody even thinks about practicing their social skills. So the more you practice, the more you’ll stand out. Use these skills to significantly enhance any area of your life. Every single one of these skills can be practice safely and covertly. Nobody will know you are using them except for you. Start as privately and secretly as you need to, then spring ’em on the world whenever you’re ready. You’ll learn how to slowly, safely and consistently expand your comfort zone. No lame ideas about faking it till you make it, or feeling the fear and doing it anywhere. Go at your own pace. Every single time you do these exercises, you will slowly expand your comfort zone. If you are persistent enough, you can expand your comfort zone so big it surrounds the entire earth. With these skills, every interaction with any other human can be the chance of a lifetime. Learn how wonderful it is to make people smile and feel good everywhere you go. Get this guide now and create your own private party planet. Explode your skills of articulation. Learn how to reframe any comment into side splitting hilarity. Learn to give strangers wonderful compliments that will resonate in their brain for years. Get this guide now and unlock your party genius. Automatically turn up your charm and mesmerizing party skills. Have fun wherever you go. Roll solo and turn planet Earth into your own private after party. Get this guide now and make life magic.